…but a mosquito net might help. 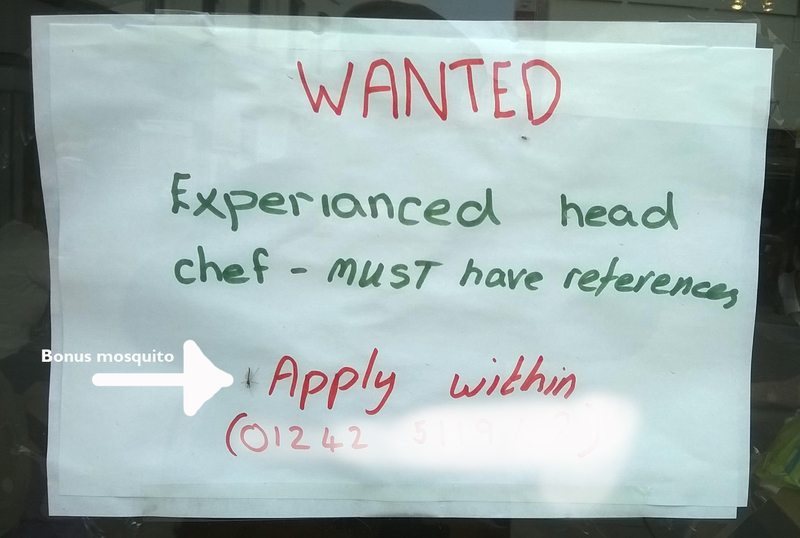 I’m not a great speller myself but this job ad pasted in a restaurant window today took the proverbial biscuit for me. It was only when I got the image on the screen that I noticed the resident mosquito.It would appear also that one applies within a phone number. I think I’ll stick to home made food.